Hulu and Sling TV have joined the expanding ranks of SVOD aggregators. However, will they make good partners? Here are four things online video service providers should know about them before they sign up. This week, Sling TV took on the mantle of service aggregator as well. It now provides access to free content, without any sign-up or credit card registration, including episodes of popular shows like Shameless, The Big Interview with Dan Rather, and Heartland. As well, free Sling TV users can sign up to “channels” a la carte, including CuriosityStream, Docurama, and Stingray Karaoke. Should an online video service provider (OVSP) work with Sling TV and Hulu? There will likely be many more aggregators joining the market during 2019, but which ones will make a good OVSP partner? Here are some the things to keep in mind when evaluating a new partner. Data is the lifeblood of an OVSP’s business. From picking the right content to provide to reducing churn, data is required to optimize performance. Unfortunately, some aggregators are providing very little data to their OVSP partners. When evaluating a new aggregator, ensure access to as much data about your subscribers as possible. For an aggregator to be useful to an OVSP, it must help build subscribers. To do that, the aggregator must deliver as many subscribers as possible. Hulu can provide exposure to its 25 million subscribers while Sling TV can only reach a tenth as many. OVSPs should also look at aggregators that can bring the right type of customers. For example, VRV is an aggregator specializing in the fandom community. It would be a great partner for, say, a sci-fi-horror service but perhaps not so good for a service delivering 1960s TV and movies. Maintaining a branded presence inside the aggregator’s experience is essential if an OVSP is to build loyalty among its customers. Some aggregators reduce an OVSP’s presence to a list of the titles it makes available. OVSP’s should demand more. Search is a particularly important function for aggregators. An OVSP needs to understand how its content will be handled when a user searches for something to watch. An aggregator partner should expect its content to be given preference in search results, particularly if the user searching is already signed up for the OVSPs service. Some aggregators do not do this, with detrimental impacts on the partner’s business. Part of the secret of the success of Amazon Channels is that the company is a marketing master. 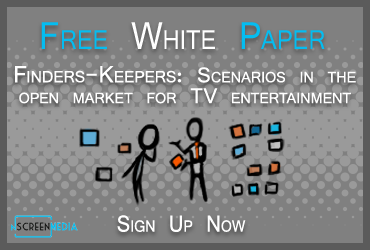 It uses every opportunity to market SVOD partner services to its customer base. For example, when a customer searches on a movie Amazon gives equal billing in the results to a partner service with the movie and its pay-per-view version of the movie. It doesn’t matter how many consumers an aggregator brings access to if it can’t effectively market a video service to them. Hulu and Sling TV are just the first of many new SVOD aggregators entering the market in 2019. Online video services providers need to evaluate each as a suitable partner. Four important criteria to use in the evaluation are access to user data, reach, prominence in the experience, and marketing muscle. This site is dedicated to the new world of over-the-top delivery of media to all the screens in a consumer's life. Copyright © 2013–2014 nScreenMedia. All Rights Reserved.